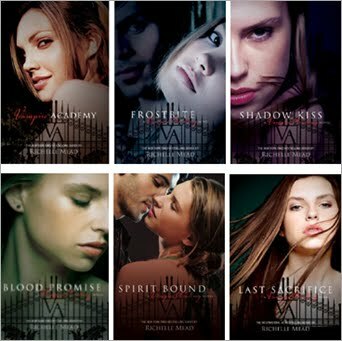 The Series I am Dying to Read, or What Michelle Would Do If She Had MORE TIME – my books. my life. I feel hopelessly behind on reading all of the wonderful series out there. Some of these have been on my TBR list for YEARS. I even own the first of all but one of these (and sometimes I own the whole series). If I had all the time in the world, these are the series I would finally sit down and read. Note: I have heard from many others that this is the best vampire YA series out there. I know a lot of you are groaning at the thought of more vampires in YA lit but I still love em. And I know Michelle will back me up. What series are you dying to read? Which one of these should I start with? I think the Uglies series looks really interesting (I read Luxe and thought it was OK, but not good enough to continue with the series itself). Poor Luxe. Nobody loves it. 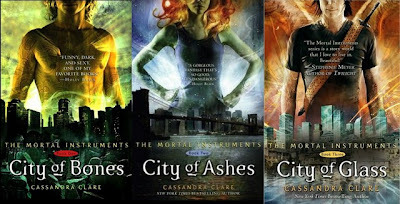 My kids love The Mortal Instruments series, and have been convincing me that I need to read those books. I also have The Uglies series, and am excited about starting them. Great post today! I’ve only read two of those but I would go with The Forest of Hands and Teeth! I like Richelle Mead’s name. I haven’t heard of a name called Richelle before. I have read Gayle Forman’s ‘If I Stay’. It is one of the best YA books that I have ever read. If I may be permitted to do so, I strongly recommend it 🙂 It will take just a couple of hours of your time. I haven’t read ‘Where She went’. I will look for it. I read Luxe last year and plan to read more of the series this year. Both the Mortal Instruments series and Uglies series on my tbr list too. About half of these, I’d say YES absolutely. I’m in the same boat you are floating in…a sea of busy busy-ness. I really don’t think I can read any faster or squeeze one more book into my schedule. This is why I really need to stop getting distracted and just read these. I tell myself this will be the month/year/decade I will finally get to all of the series out there all the time. It seems an impossible task. Start with UGLIES! I was not a fan of LUXE even a little, so put that at the end of your list. Start with the Chaos Walking trilogy. 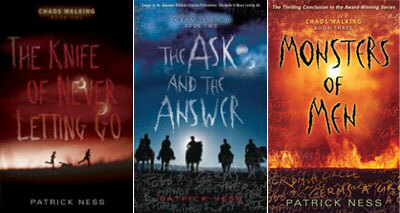 I enjoyed the Uglies books (well, the two that I’ve read) but I loved the Chaos Walking books. I could not put them down and when I had finished one I absolutely had to read the next one right away. I’ve read Mortal Instruments and Vampire Academy. I’d recommend them both. VA series is complete so that might make it more appealing, where MI is still going (4th of 6 comes out this week!). I couple on your list I hadn’t heard of, so I want to check them out. Thanks! Let’s hear it for the YA vampires!! You know, I need to read the rest of that series too. I’ve read the first one. You MUST read If I Stay and Where She Went. Phenomenal. I still need to read the Uglies, Chaos Walking, The Immortals and the rest of Carrie Ryan’s series. One of these days, I’m just going to sit down and do it. OMG, you have to read Vampire Academy and the Mortal Instruments!! Loved them. 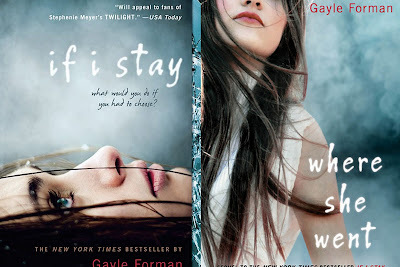 I also loved If I Stay by Gayle Forman. Uglies was a fun series too. I’ve read the first Luxe and Forest of Hands and Teeth books but they weren’t ones I was running out to get the next one. OMG, so many awesome series on this list. So many that I too need to start. I am seeing Cassie Clare’s books buzzed about all over twitter right now. I think that will be the next audiobook I listen to after I finish Behemoth. 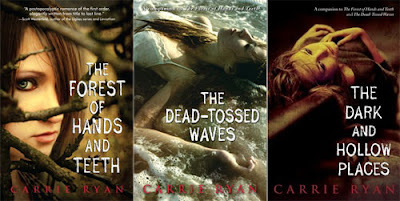 Carrie Ryan’s Forst of Hands and Teeth is one of my all time favorite series. I wish she’d continue on with it. It’s just fantastic! I also just finished the second Gayle Forman book, holy angsty goodness batman! I really want to read Uglies! I’ve read some of these series and read the first books in a few. I’l admit, I didn’t love The Knife of Never Letting Go, and I’m not sure whether I’m going to read the next books in the series.